The weather has been much improved over the last few weeks, and it has continued to be very mild. I had hoped to be able to post a video update, but I’ve been having some rather odd camera trouble and none of the segments that I’ve recorded have been useable. I’m not sure what the problem is, but in the meantime I’ll try and describe what I’ve been up to . 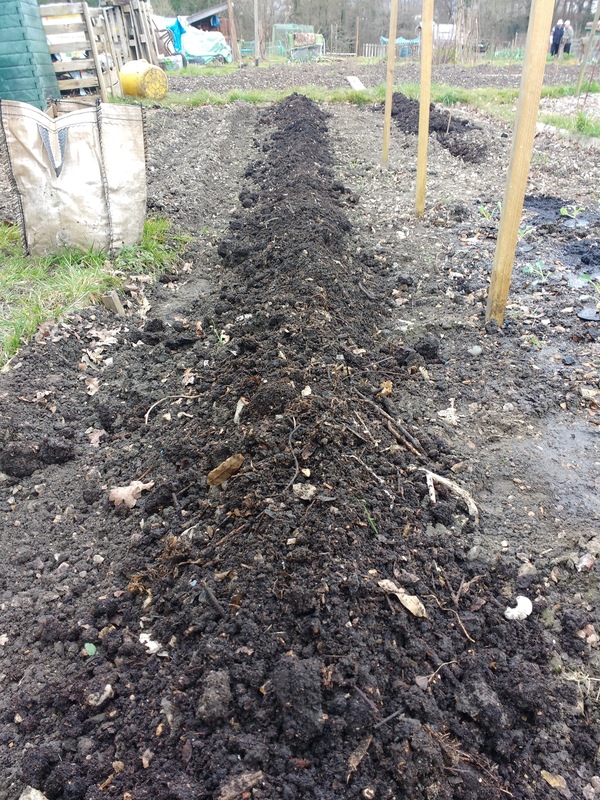 I’ve planted my early potatoes (see above), they went in today (Easter Saturday), and all being well, they’ll be ready to harvest in 100 days, or at least that’s what folklore says, and it’s been right most times. I’m still a little concerned that we might get a frost. I’ve earthed them up well, and will continue to do so as the first aulms come through. I also transplanted out the onion sets that were in modules in the potting shed. There were 96 originally, but some got waterlogged following a leaky roof, so only 50 actually went in the ground. They didn’t look as strong as the ones that have been in the ground all winter, probably a combination of the waterlogging and the mild winter for those outside. The final round of planting for this weekend was to get some brassica plants in too; cabbages, cauliflowers and broccoli. They should be ready to harvest in the summer, all being well. 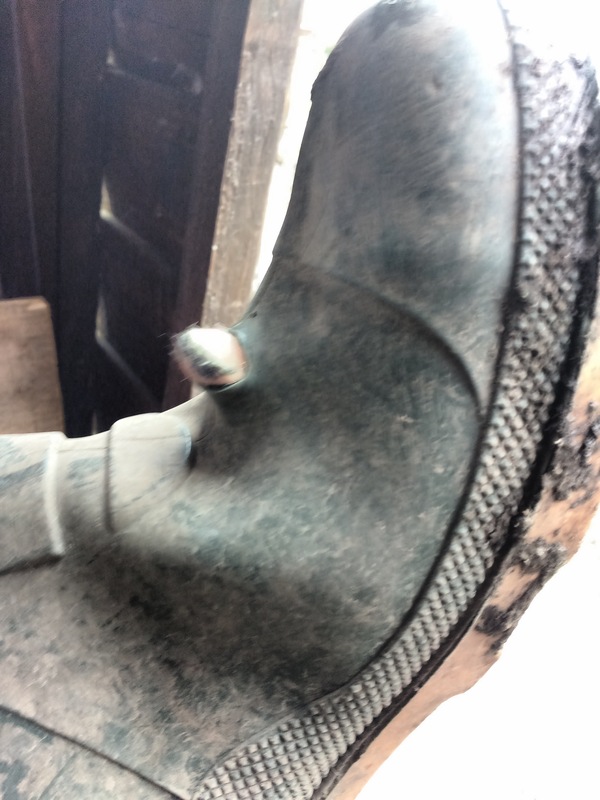 Finally, I’ll need some new boots before the winter – mine have split! This entry was posted in Fork To Fork, Garden / Allotment, Self-sufficient and tagged allotment, broccoli, cabbage, cauliflower, onion, potato. Bookmark the permalink. We had a fine morning but the rain arrived at about 3pm, should water them in at least, but probably puts pay to anymore work tomorrow. You’ll soon get your spuds in, plenty of time! Looking good, Alan! Far too early in the season for us to plant, so I’ll just have to live vicariously through you. They sure don’t make things like they used to; the rubber boots that I bought myself last year have already started to separate at the heel. Now we know what to get each other for Christmas! LOL! Thanks David, it’s good to have some new plants in! Hopefully you will make your start soon too. My wellies never seem to last long, although the pair that have split just now are a couple of years old, so they done better than some I’ve had! Snap, my first and second earlies went in today. My second earlies aren’t quite ready – maybe next weekend. Thanks for stopping by and commenting.